Who doesn’t love to have the occasional exotic fruit? Nobody is ever really content with eating the same three fruits all the time. Humans are creatures of habit so it’s easy to fall into a routine of eating the same things. However, it’s good to switch things up every once in a while. So, why not switch things up with something like star fruit. 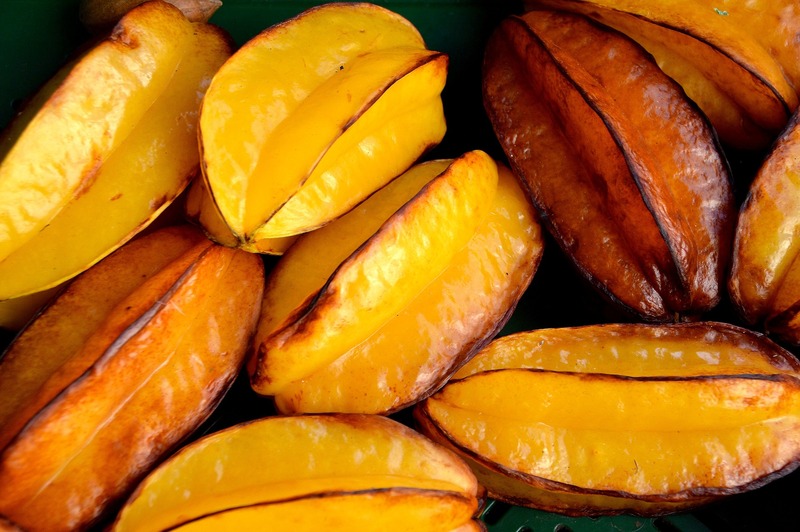 This is an exotic fruit that is probably unlike any other fruit that you’ve ever had. The star fruit is definitely a little unusual but it’s something that is different and could be the change of pace you need when it comes to broadening your food horizons. 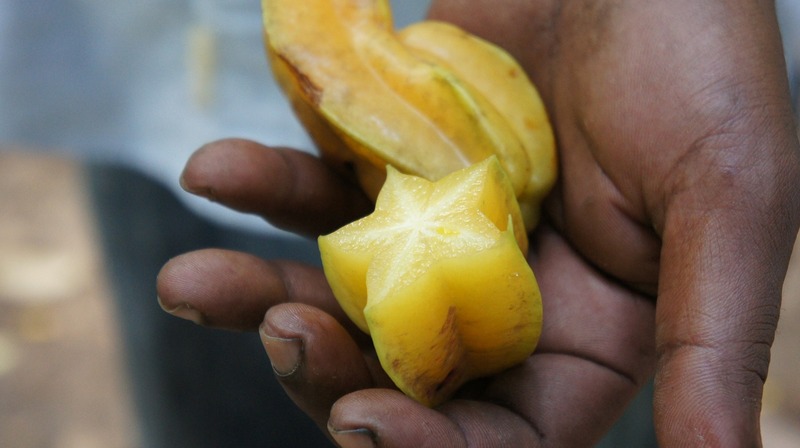 Star fruit, also called carambola, gets its name because of the way it looks. When you cut it and look at the cross-section, the fruit looks like a star. The stars you would draw as a kid is the best example I can give you about exactly what the star fruit resembles. When it comes to star fruit taste, it’s a sweet and sour one. It’s something that when you eat it, you’ll be reminded of candy. The sweet and sour flavor is something that can be quite rare with most fruits that you’ve eaten in the past. 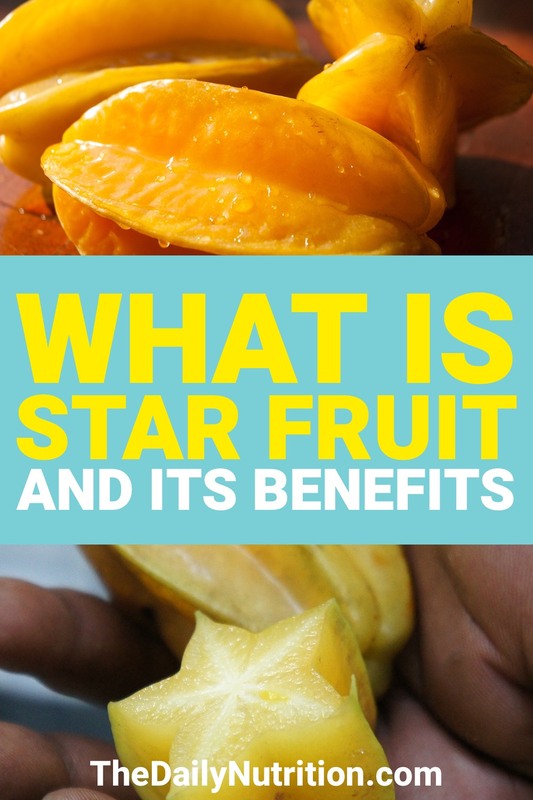 In this article, we’ll take a look at the benefits that star fruit provides and other ways this fruit is going to be impactful on your life. As with any fruit, you want to make sure that it’s nice and ripe before you eat it. The way you can determine if a star fruit is ripe or not is by the color. Ripe star fruit is going to be yellow with some hints of green around it. The next thing you’re going to want to do is to rinse the fruit. You never know exactly what happens from the time the star fruit is picked to the time it reaches your hands. Then you’re going to want to cut off both ends of the fruit. This fruit has two distinct ends so it really shouldn’t be a problem cutting them off. Slice the fruit however you want from there and into however many pieces. You then should remove the seeds before actually eating it. Getting rid of the seeds isn’t something that you necessarily have to do, but it’s highly recommended. 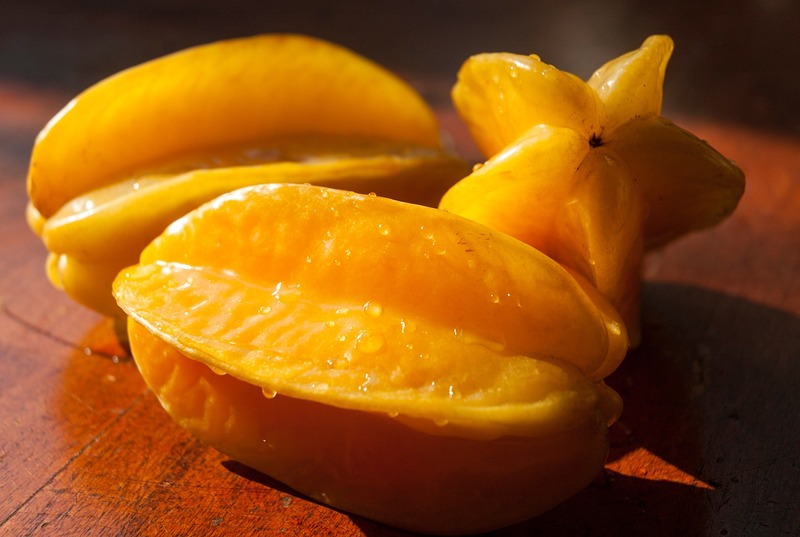 Eating star fruit with its seeds is like eating an apple with apple seeds. You don’t have to avoid them but the experience of eating the fruit without the seeds is going to be better. Actually consuming the star fruit isn’t going to be a hard task at all. It’s can be eaten on its own, added to salads, made with certain types of seafood, and even made into a jam. Speaking of jam, if you want to learn how to make your own homemade jam with star fruit, be sure to check out this recipe. One great thing about star fruit is that it’s very simple to prepare for when you want to add it to anything. This is something that was already gone over a little bit previously. However, cutting this fruit can look like it’ll be a little harder for some people. Some of you may have a look at a star fruit and have a completely different idea of how to cut it compared to the person next to you. In reality, there is no proper way to cut star fruit. However, there is a preferred way of cutting it. That preferred method isn’t to cut the star fruit vertically. If you cut it vertically, you won’t be able to see the star shape that the star fruit is known for. When you’re cutting star fruit, you want to take the tip of your knife and cut off both ends. This is going to prevent you from getting any hard ends that are going to be tough to eat. Once you do this, you want to start slicing through the star fruit horizontally. Cutting the star fruit this way will allow you to see the actual star shape that the star fruit is known for. After the slicing is done, you can get rid of the seeds using the tip of your knife again. Once you get rid of all the seeds, you aren’t going to have a problem eating the fruit right away. It should go without question that star fruit is healthy for you. This isn’t something that’s considered junk food and is going to work against your health. Star fruit is great when it comes to what it gives you. The nutrition facts for this fruit may just surprise you. Regular-Sized star fruit contains a ton of vitamin C, gives you adequate potassium, magnesium, and protein, and provides you with a great amount of fiber. The two things that really stand out are the vitamin C and fiber. Star fruit is going to give you over 50% of the daily recommended amount of vitamin C. You’ll also get about 3 grams of fiber. That may not seem like much fiber, but for its size, that is a great amount of dietary fiber. Fiber is one of those things that people need to help improve their gut health. When you have a healthy gut, more things with your body are going to be improved. For example, your entire immune system is going to be greatly improved just because your gut health will be improved. On top of this, the carb content of star fruit is only 6 grams. So, when you’re on a diet that calls for low carb intake, star fruit is something you can actually have. Most other fruits don’t fall into that category. Because of that, you can say that star fruit plays a big role if you want to lose weight. Although it’s very healthy for you to have, there is something you need to be very careful about when it comes to star fruit. Now, this isn’t something that everyone is going to have to worry about. This is only going to be an issue for people that happen to have kidney problems. The reason people with kidney problems should probably avoid star fruit is because of its high oxalate acid content. Eating this fruit can really cause even more kidney issues. On top of that, it can cause some problems with your brain as well. This can lead to problems like confusion or even seizures. Other than those issues, most people are safe to eat star fruit and don’t have to worry about these side effects. For the people with kidney problems, proceed with caution when it comes to eating star fruit. Although you won’t find it in the sky, you can find these stars in a tree. The star fruit tree can provide you with a ton of fruit that you will potentially love. If you’ve never had star fruit, it’s one of the tropical fruits that you need to at least try. There is no issue with trying new things. Try this fruit and experience something new. Add it to your fruit salads so that they have a new dynamic to them. Cut it the right way and enjoy them as soon as possible. The star fruit is something you could fall in love with. Don’t allow yourself to miss out on something that you could really love and could potentially improve your health in a way that other fruits cannot. Enjoyed Star Fruit: What is Star Fruit and Star Fruit Benefits? Share it with your friends so they to can follow The Daily Nutrition journey.